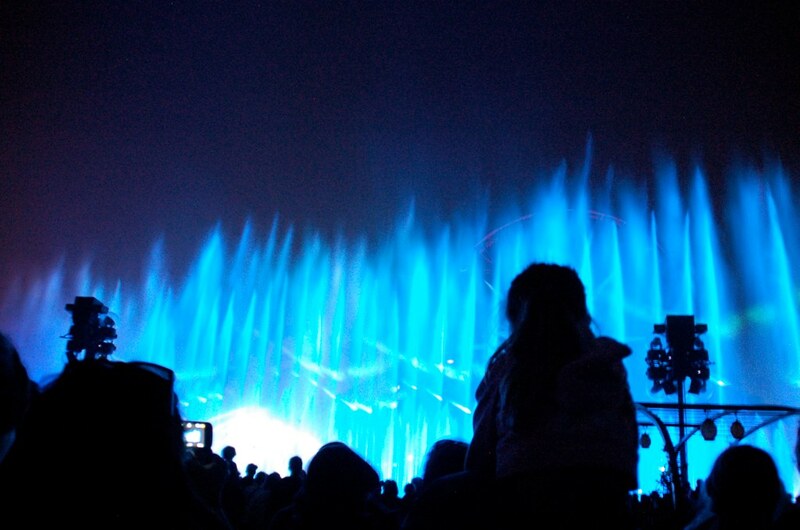 So, last Sunday I decided that I was going to see the new extremely hyped World of Color water and light show at Disney California Adventure. 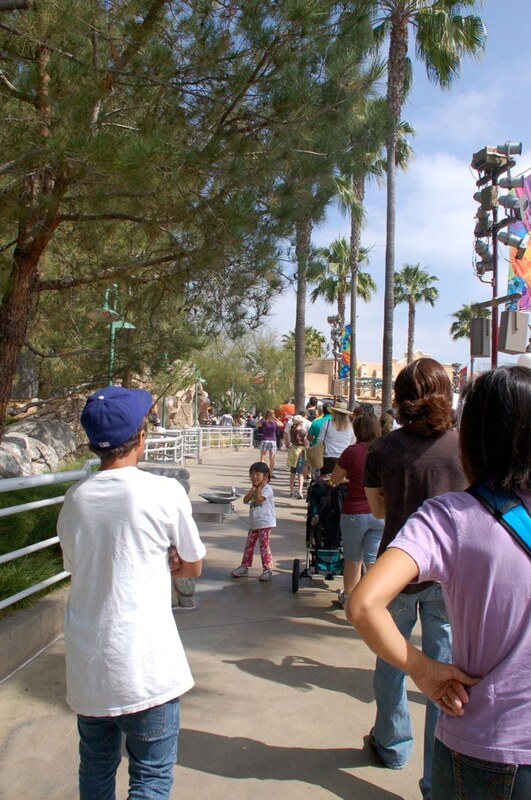 Based on my research into the matter, it seemed that getting into the show (at 9 or 10 that night, mind you) would either require getting there at park opening to wait in line for a Fastpass, purchasing a “picnic” or having a Princess character dinner. 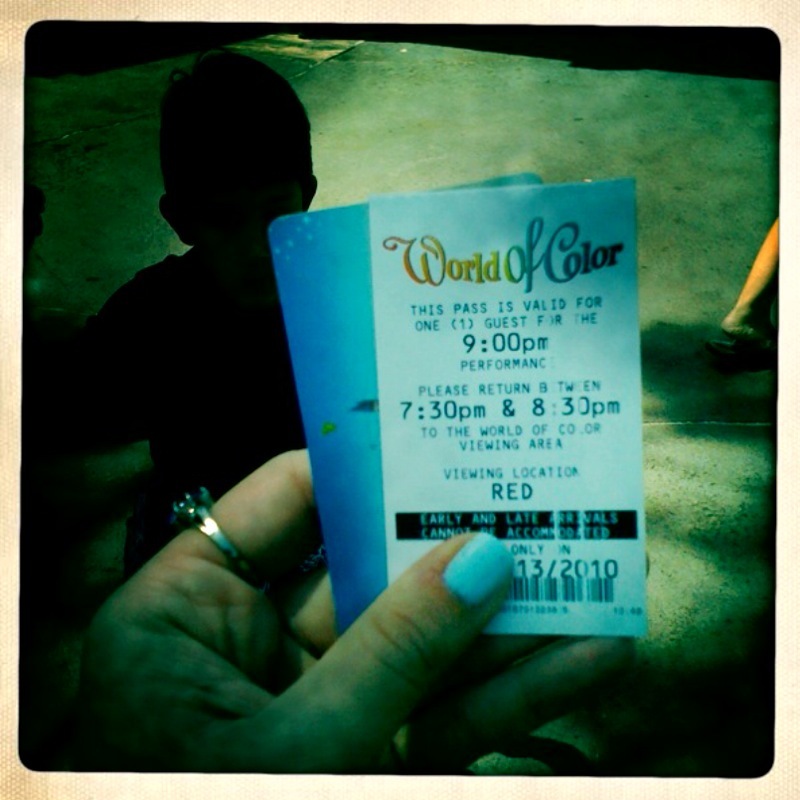 I didn’t really want to buy a fancy meal, so Fastpass it was! ONE HOUR LATER — I was good to go! At the first show of the night (thank GOODNESS)! I was surprised to spend the majority of the rest of the day at DCA — normally I kind of run out of things to do and end up hopping over to Disneyland pretty quickly, but considering some things have reopened during their massive remodel and there was just more room to move around and breathe despite crowds, I was there until almost 3, finally heading to Disneyland for some much craved Dole Whip (mmm, Dole Whip). 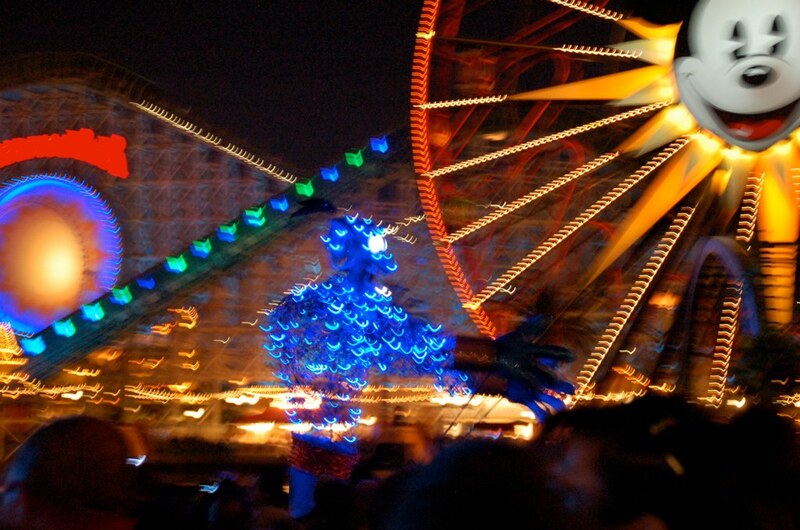 I’ll post some of the new/random things I did when I add pictures from Glow Fest, another new kinda bizarre summer addition to Disney California Adventure. SEBASTIAN for the RED section! That's ME! They also had a Mike Wazowski for GREEN, but I couldn’t get a good shot of him (even a good blurry shot). 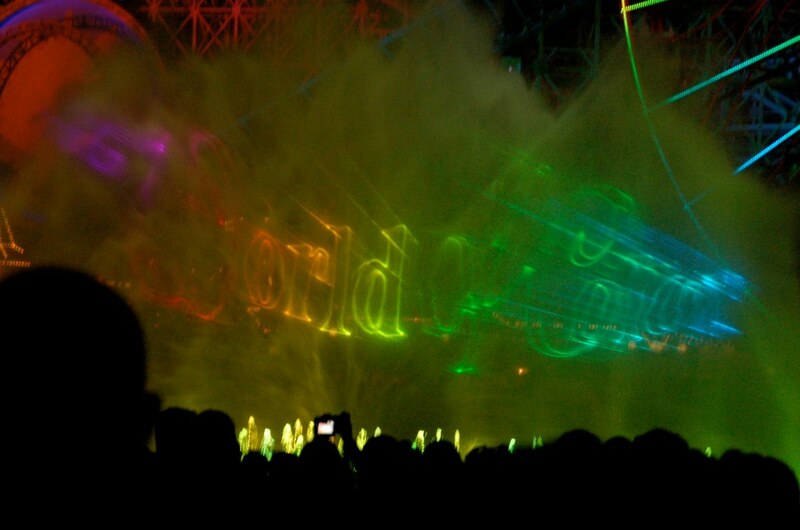 After this pre show, was World of Color itself. Once I get video converted, I’ll share some clips because pictures hardly do it justice. Everything is SO BIG and there’s just so much water. 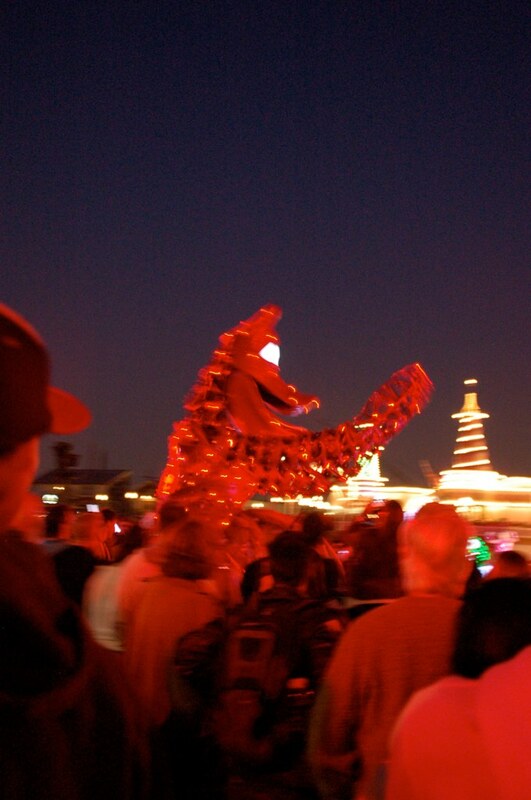 It’s a little inconsistent story wise, more the way fireworks have transitions than shows. 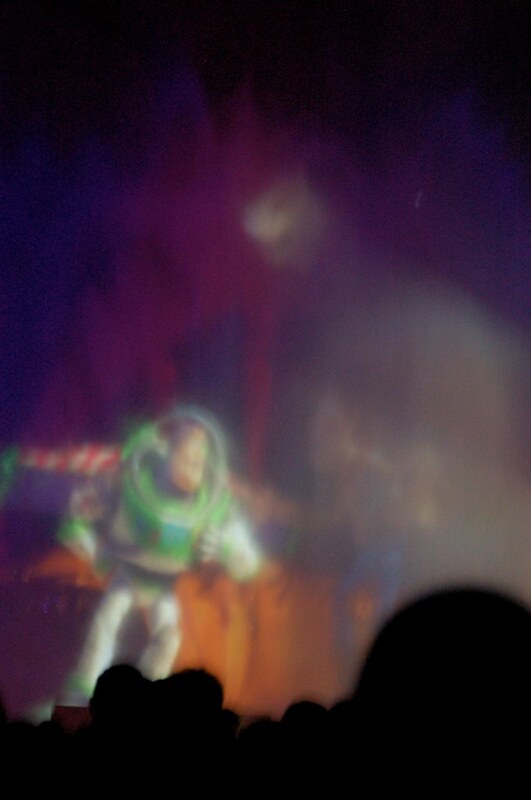 But the effects were really top notch and it was a lot of fun. Even though I heard you get really wet, from where I was standing I was barely misted. In honor of TS3, which I'm seeing tonight! All in all, a great show. 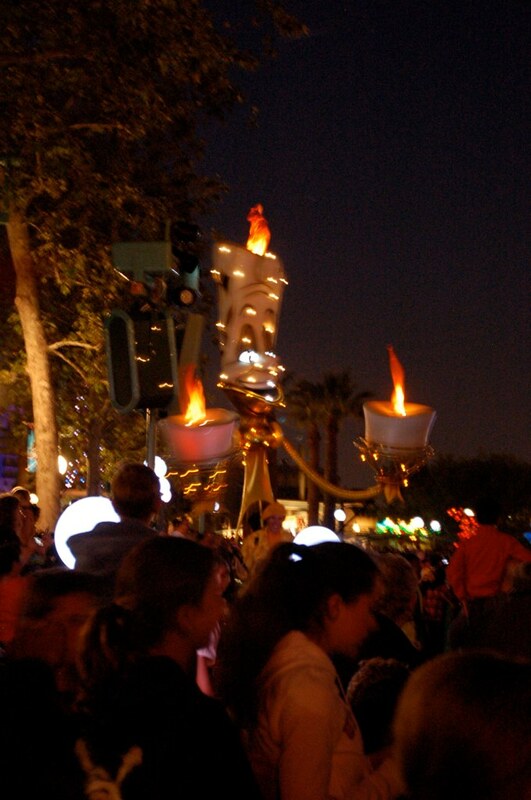 Made me miss seeing these things with my CP friends (who need to all visit so we can see it together!). 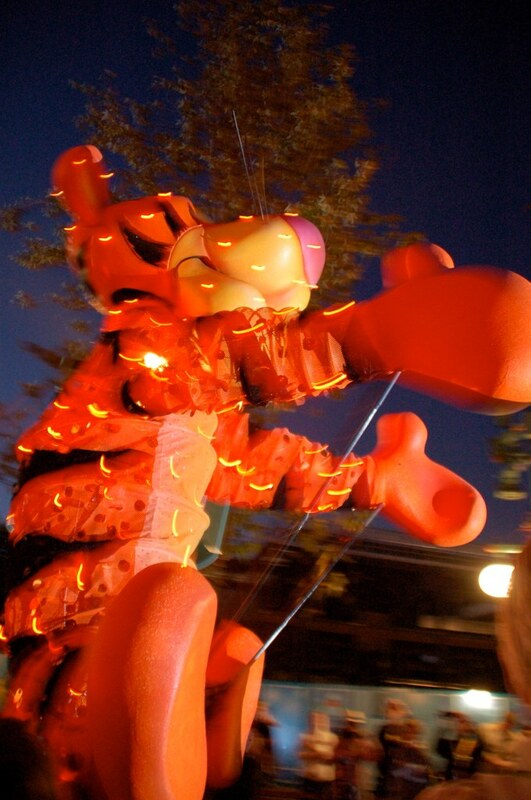 Later, be on the lookout for video, Glow Fest and Toy Story 3 thoughts! !